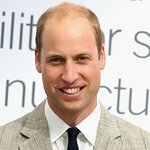 The Duke of Cambridge, Patron of SkillForce since 2009, has officially launched the charity’s new award programme, The Prince William Award (PWA), while visiting a primary school in Wales. The Prince William Award is aimed at helping young children between the ages of 6 and 14 to develop good character, confidence and resilience and is is designed in three stages. The Pioneer Award is for children aged between 6 and 7, and helps to develop character, and to teach children to understand the value of significant character traits. The second stage is the Explorer Award for children aged 8 to 11, and focuses on developing character within a team and the impact individuals can make on group performance. The third stage of The PWA is the Trailblazer Award, which concentrates on inspiring children aged 12 to 14 with confidence as leaders, and equipping them with skills to take on responsibility. His Royal Highness joined three groups of school children as they each demonstrated different age related levels of the award programme and helped them to complete exercises including; a construction task, a trust based exercise, and a challenge designed to test leadership skills. SkillForce is a national education charity that works with schools to transform lives using the skills and experience of ex-Service veterans. The charity supports children and young people in more than 200 primary and secondary schools across England, Scotland and Wales preparing them for their next steps in education, work and life.